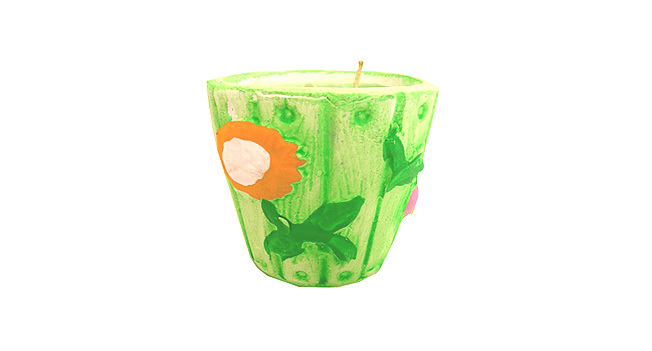 A perfect personal gift you can make to light up someone’s day – try making this organic candle holder at home! Fabrica - Ultra Light Green, Orange, etc. Step 1: Cut around 6" above the base of the vegetable (as shown). Step 2: Core out the inside. Step 3: With scraper/peeler make patterns as shown on the outside portion. 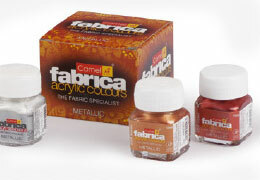 Step 4: Paint with Fabrica Colours. Step 5: Place candle inside the gourd (it should be same height or 1" shorter). Step 6: Use Fabrica Glue to decorate with kundan and mirrors.